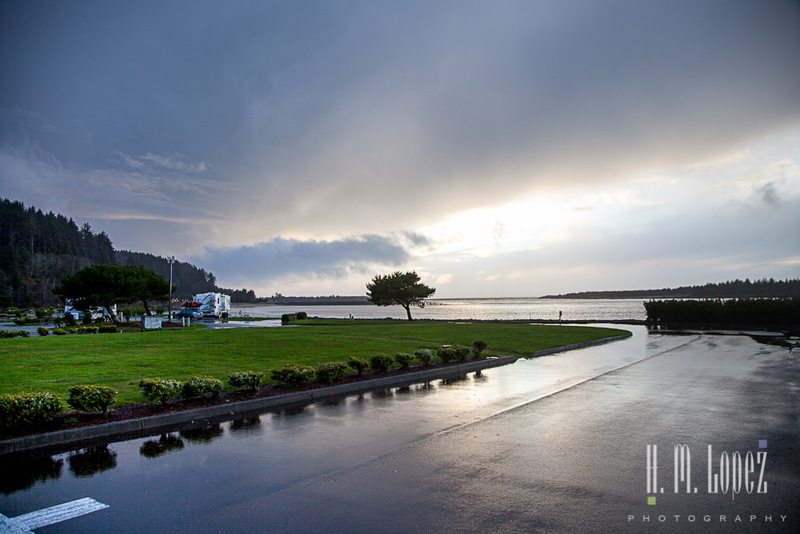 There is a county RV park by the marina that offered a decent rate for a weekly full hookup site. 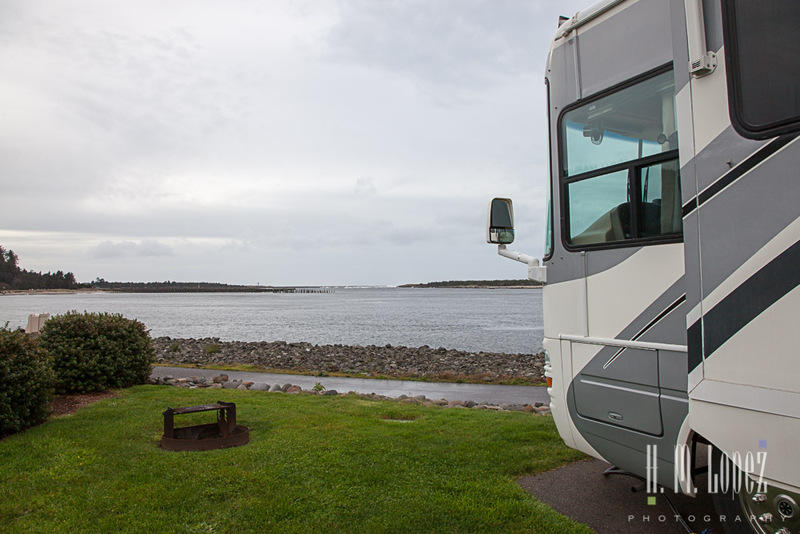 We chose a site with a view of the mouth of the Umpqua River and the ocean surf just beyond it. 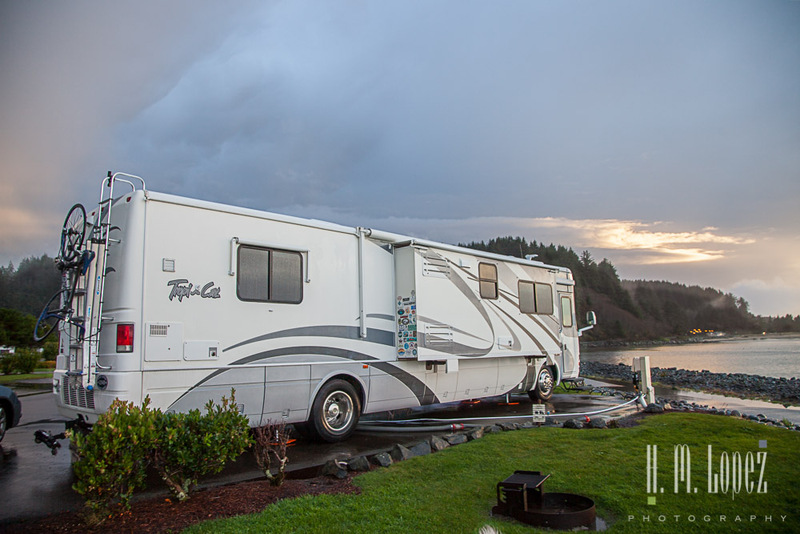 Check out my review of the Winchester RV Resort here. 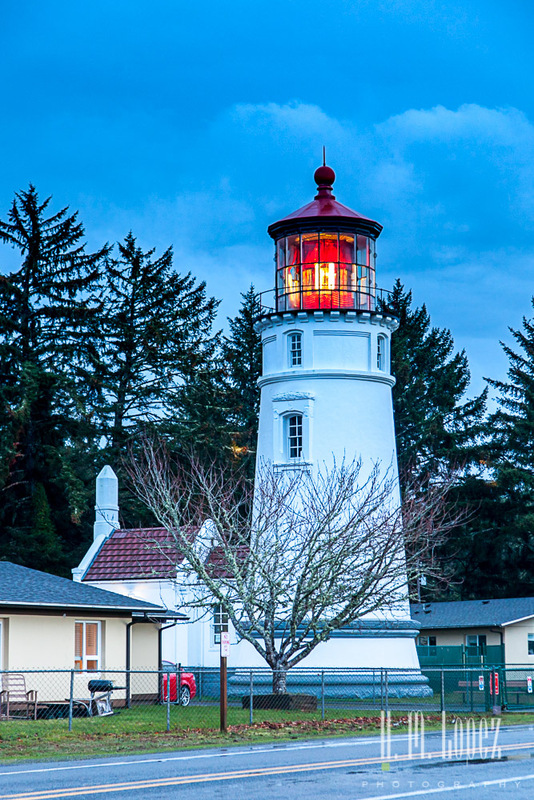 We drove over to the Umpqua River Lighthouse right after we settled in. Unfortunately, guided tours of the lighthouse only run through September so we missed exploring the inside. That of course is the downside of traveling in the low season, but the up side was that we had almost an entire row of campsites at the campground to ourselves. We definitely planned to return to the lighthouse at night to see the light in its full glory. 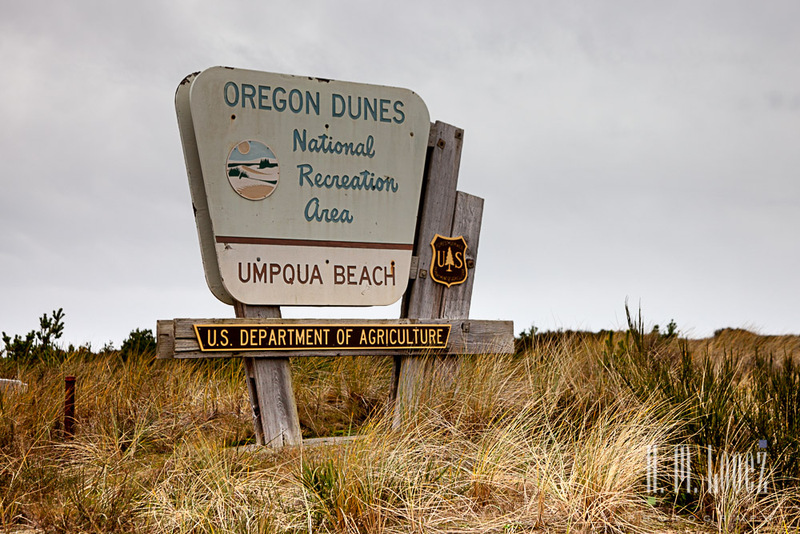 Next stop was Umpqua Beach. 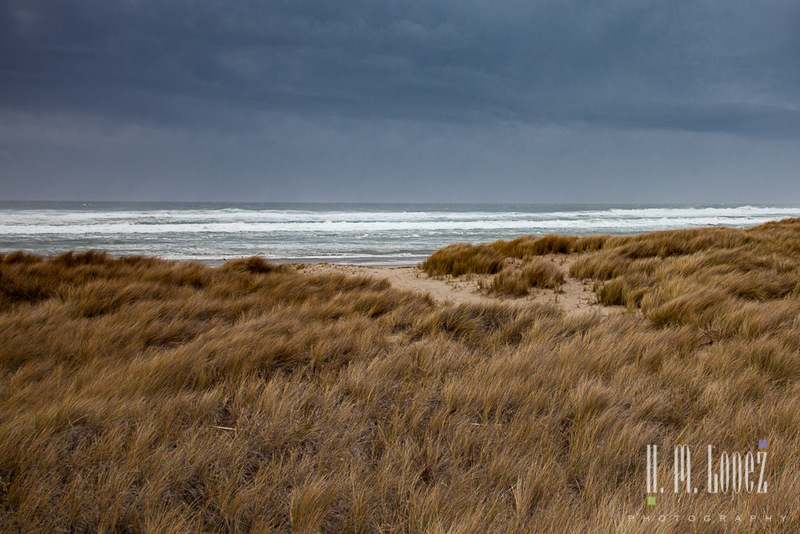 The beach is part of the Oregon Dunes National Recreation Area, the largest stretch of coastal sand dunes in North America, with sand dunes rising up to 500 feet above sea level. There are dunes as far as the eye can see and all the way down to the beach. We climbed a couple of smaller ones by the beach with Angel. As we reached the top, we could see some really massive sand dunes in the distance. These are very popular for off highway vehicles, but this time of year there were none. Lovely. Looking towards the beach on the other side was a thick coat of sea foam, looking like a frothy milk shake and stretching along the entire beach. 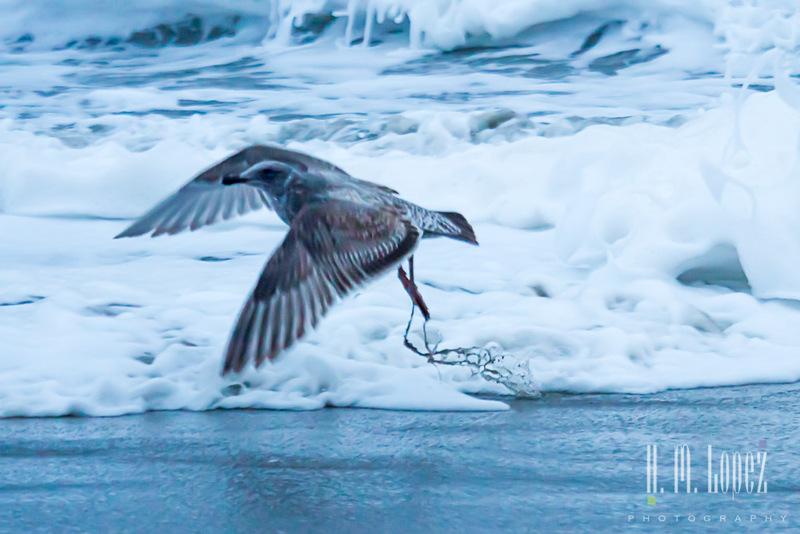 The sea foam was deceiving, just when I thought it was a thin coat above the sand, my feet would sink down to the ankles. But it was very cool to see so much of it. The next day it began to rain again. And rain and rain and rain. And then the wind started, one disadvantage of being by the water. Luckily, we were somewhat protected by a hill on the windward side. The driving rain with high winds is not the kind that you casually go out in. So we worked on plans for the drive to California, a few indoor projects and did some laundry in our little washer/dryer combo. 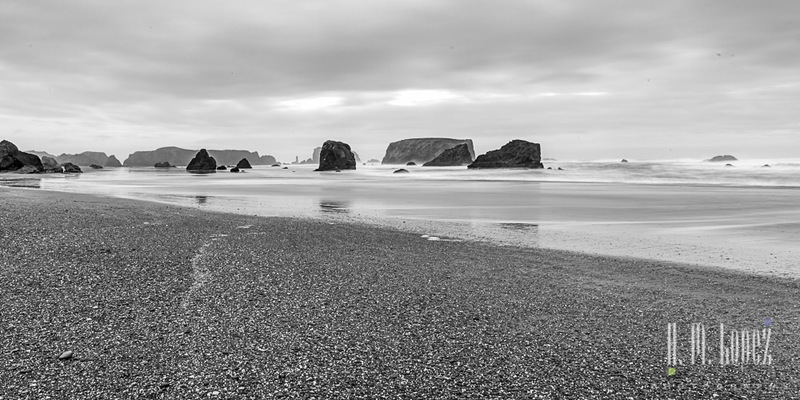 Then the rain subsided a bit and we headed to Bandon. This adorable little town has a beach with stunning sea stacks and lots of little shops and restaurants in its old town area. 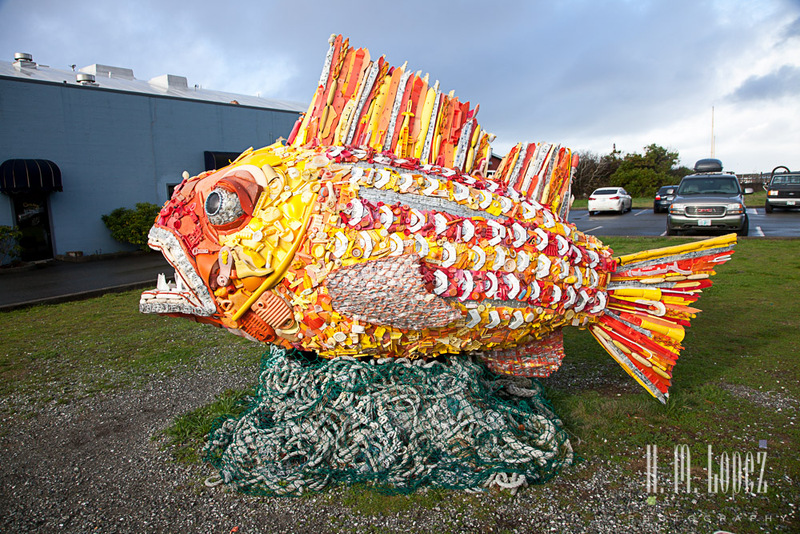 On the way into Bandon, we stopped to visit Washed Ashore, a non-profit whose mission is to “educate and create awareness of ocean debris and plastic pollution and its effect on marine life species”. 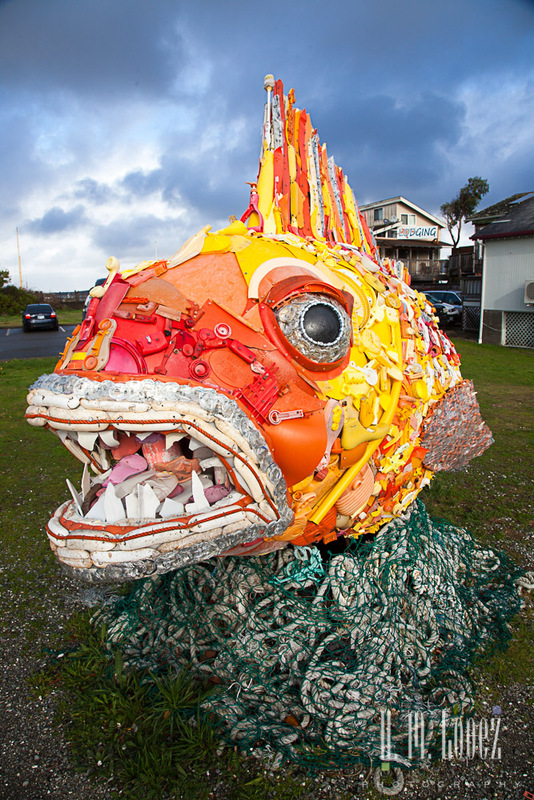 Since 2010 thousands of volunteers have collected over 17 tons of trash and used it to create over 66 giant sculptures of sea life most affected by plastic pollution. I first saw an exhibit of these ocean trash sea creatures in Sea World in San Diego and was fascinated by the work. But both years we have stopped to check out the organization in Bandon, it was closed. Still, we are fans and will try to visit them again whenever we are in the area. 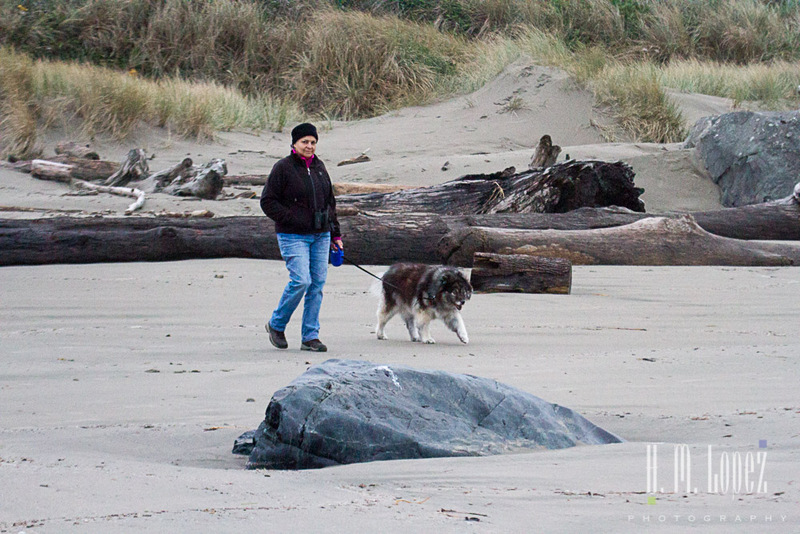 We had another chance to walk on a wild and beautiful Oregon Beach – always a treat. 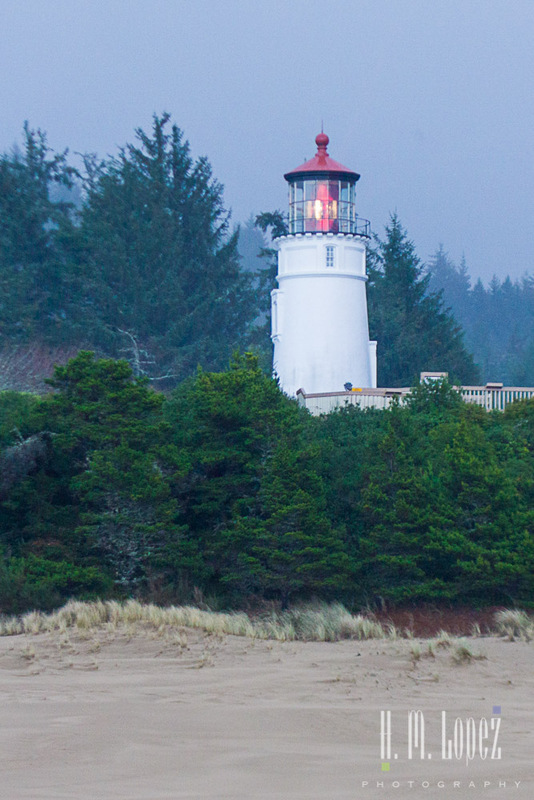 This beach also has a great view of the Coquille Lighthouse, still stately sitting out on the point although decommissioned long ago. With the recent and upcoming storms, the sea was quite fierce, so I kept Angel on her leash. Weather was favoring us once again, as the rain held out on most of this day. 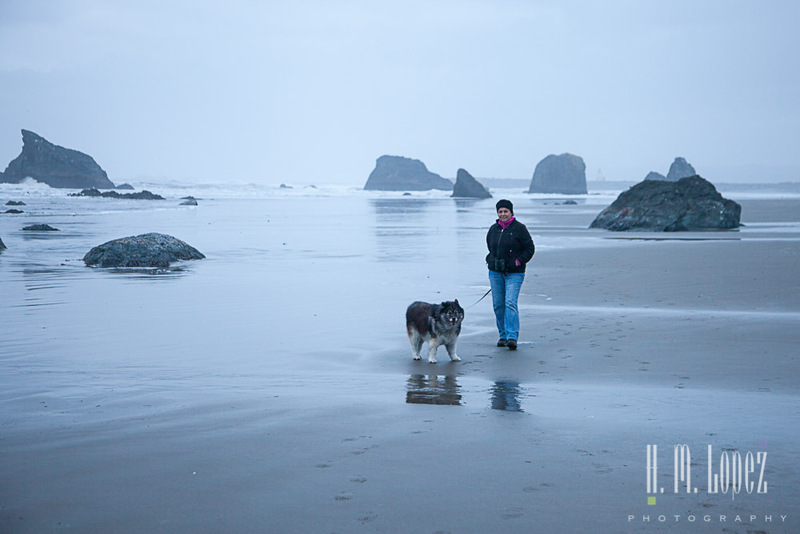 But the sun was going to set behind clouds, so we left the beach just before sunset and headed to Old Town Bandon. 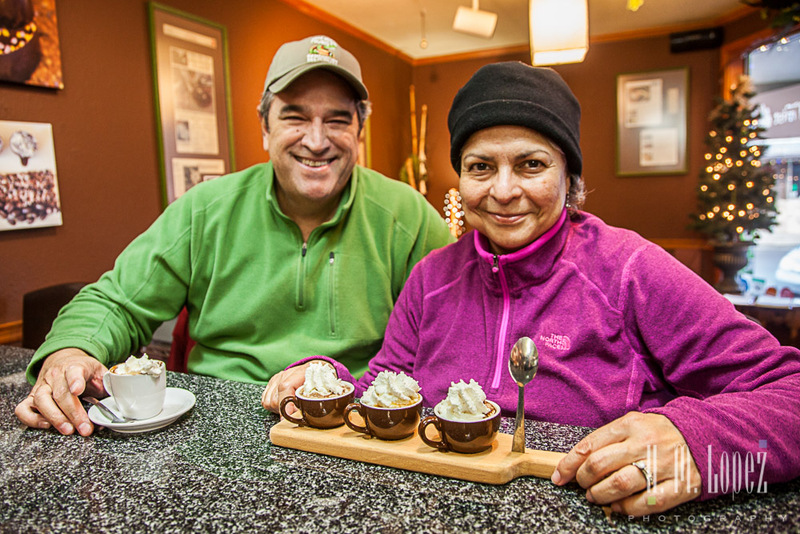 Our destination was Coastal Mist, a “chocolate boutique” that specializes in desserts, cakes, pastries, and stunning artisan chocolates. They also offer a selection of fresh sandwiches. But we were there for the drinking chocolate, which we had tried for the first time last year. This time I tried a flight of drinking chocolates that included a drinking caramel – delicious. Their drinking chocolate is unbelievably rich and yummy. 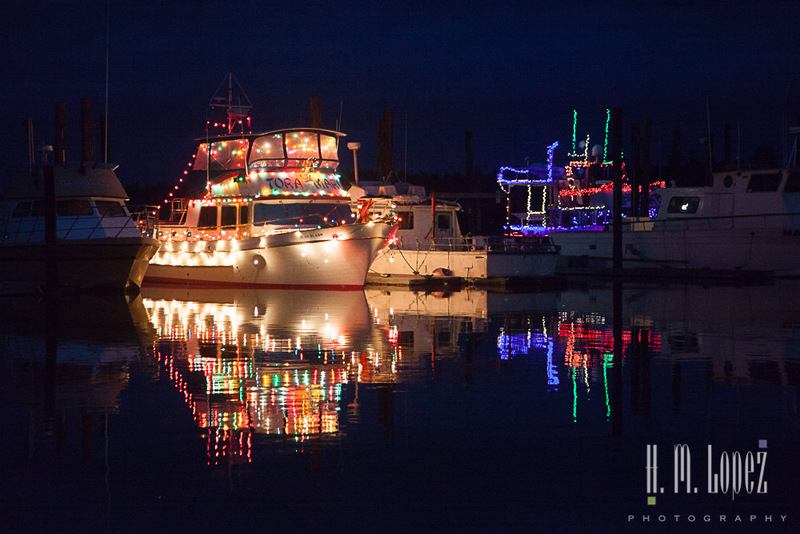 As we headed out, we had one other surprise, Bandon was wearing its Christmas garb and even a couple of the boats on the harbor were decorated with bright lights. Truly a lovely little town. 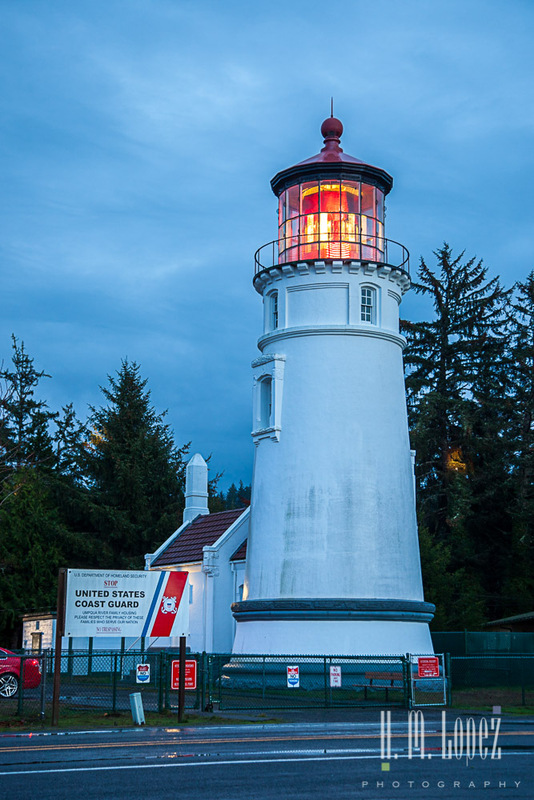 We stopped back at the Umpqua River Lighthouse on our way back to the campsite. It is an incredible sight at night. Its red and white first order Fresnel lens glitters like diamonds and rubies. And its beams of light bounce like giant Christmas balls across the pine trees that surround it. Breathtaking. I am always in awe of these beacons of light; the resilience of the structures and the people that worked there and the history that surrounds them. 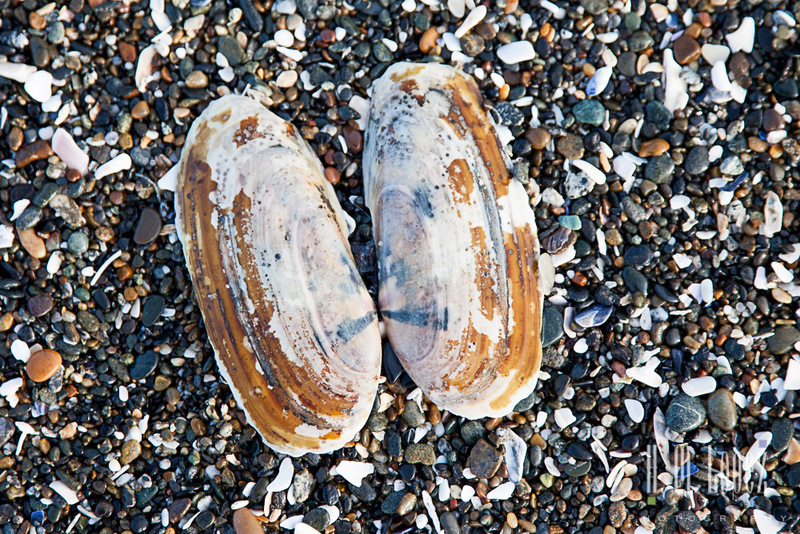 They are a reminder to all of the force and power of the sea. Lighthouses have so many stories to tell. 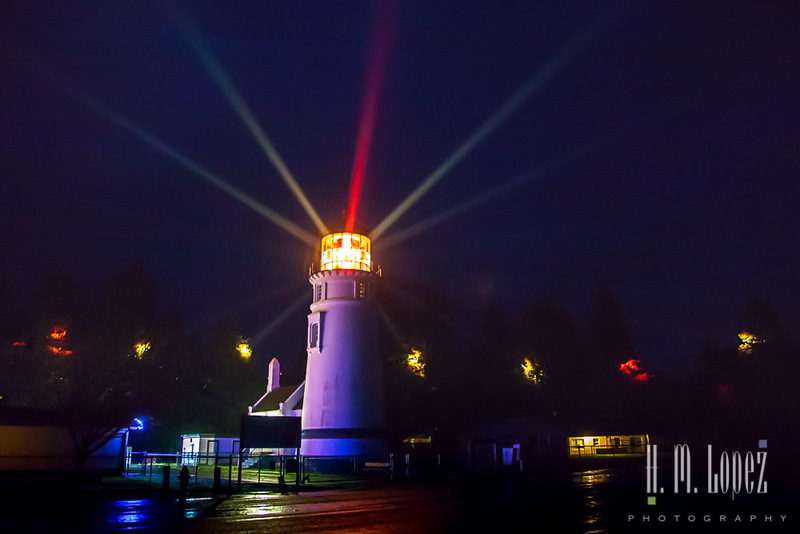 It was very dark and a photography challenge for Hector, as the Fresnel lens created such an intense light. His first reaction to the very cool scene was “how the heck do I shoot this?!”. We tried a “painting” technique where I shone a flashlight on the lighthouse’s base to try to balance the light a bit. And then Hector tried a lot of different settings without the “painting” technique. The next day the rains returned with even more force than before. The wind was loud with fierce wind gusts. It was what they call a “sideways rain”. It knocked our barbecue off its table and unrolled the top of the aluminum table off its base. Fortunately, we were able to retrieve everything and stow it during a brief calm period. After a couple of days the winds died down a bit but the rain continued. 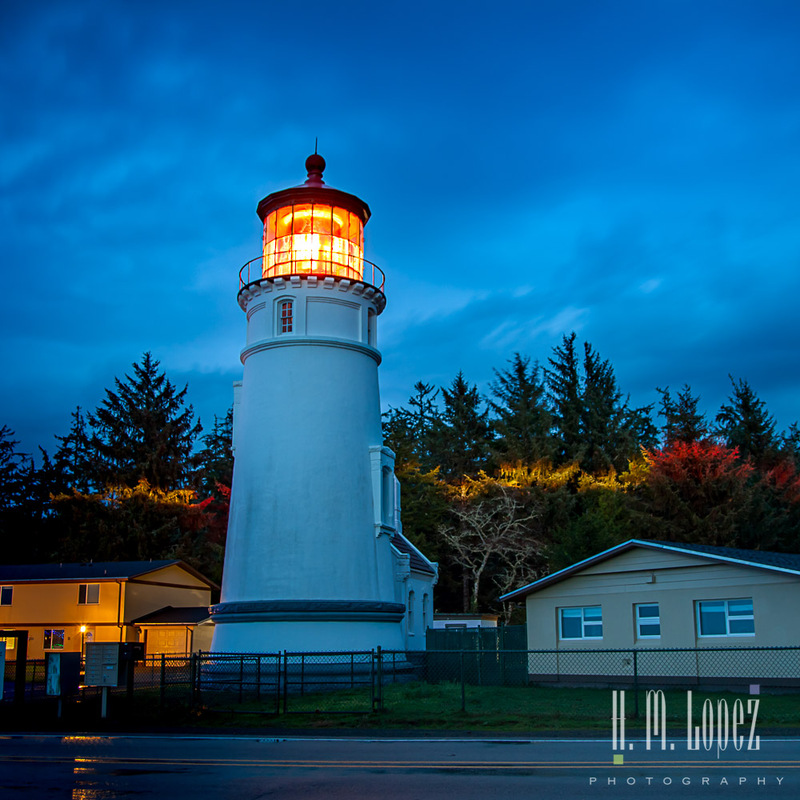 Although raining, our last night was Hector’s last chance to photograph the Umpqua River Lighthouse. He learned a lot while reviewing the previous photographs and was intent to return. It was a foggy night, and Hector’s perseverance was rewarded. The light created soft lingering beams in the fog – beautiful. Hector was excited. 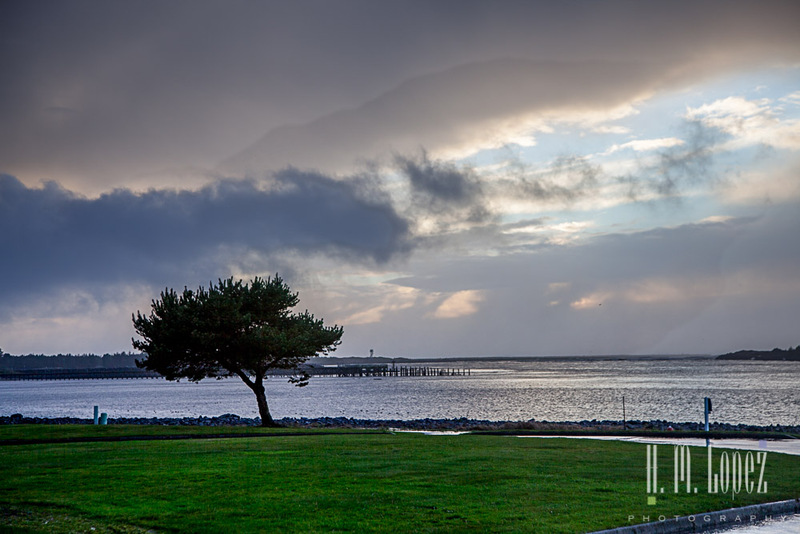 He spent quite awhile taking photographs in the rain while I watched the lighthouse from inside the car. 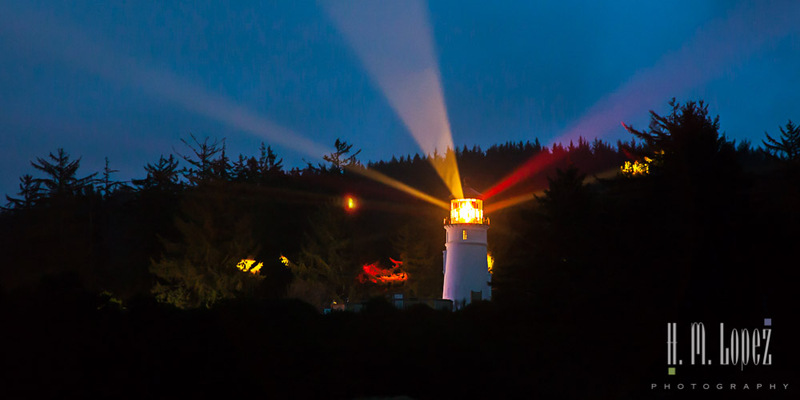 This is one of the most magical lighthouses I have seen at night. And Hector captured some nice images after all of his hard work. 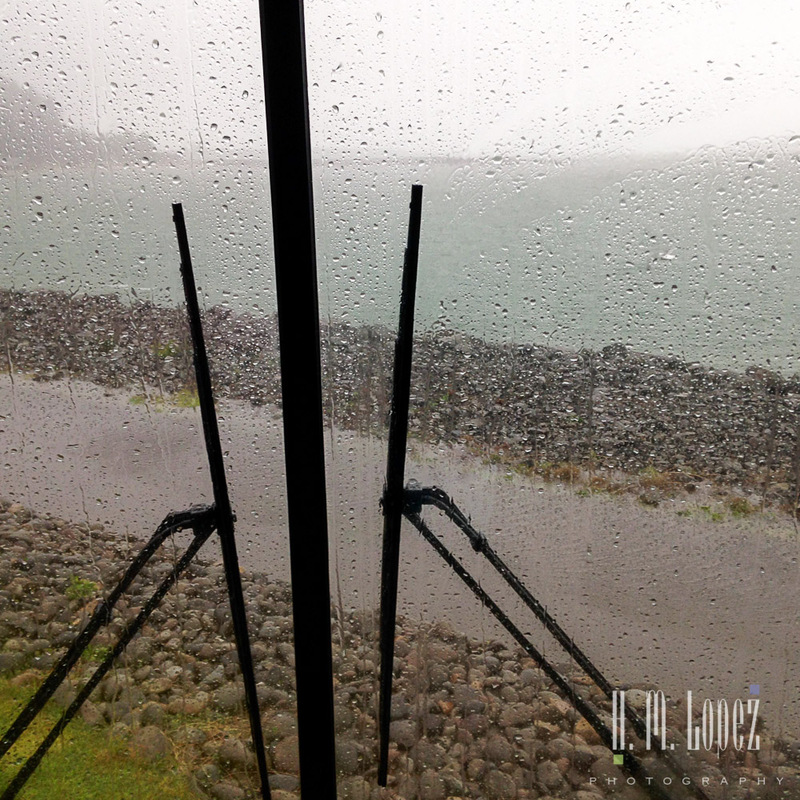 As we reflected on our week, we were thankful to have been able to do some stormwatching from the relative safety of our motorhome. This coast has some really spectacular storms. The river rose quite a bit during our last few days there, not enough to force anyone to move, but enough for Hector to keep a very close eye on it. It was a good time to leave. We had hoped for clearer weather for our departure but the rain continued. Fortunately the winds had subsided. But it did not make sense to wait, since no clear days were in the forecast. Bandon was on the way so we opted for one last quick stop at their indoor Farmers Market, held every Saturday until right before Christmas. It is a small but enjoyable farmers market with jams, baked goods, meats and eggs as well as arts and crafts. And super delicious clam chowder from the fish market that is onsite. No produce this time of year though. We met a vendor at the market who told us that the lower part of her farm was submerged. She said she only had three animals there, so she was able to move them. The rest of her animals were on top of a hill and we sure hope the water never got that far. 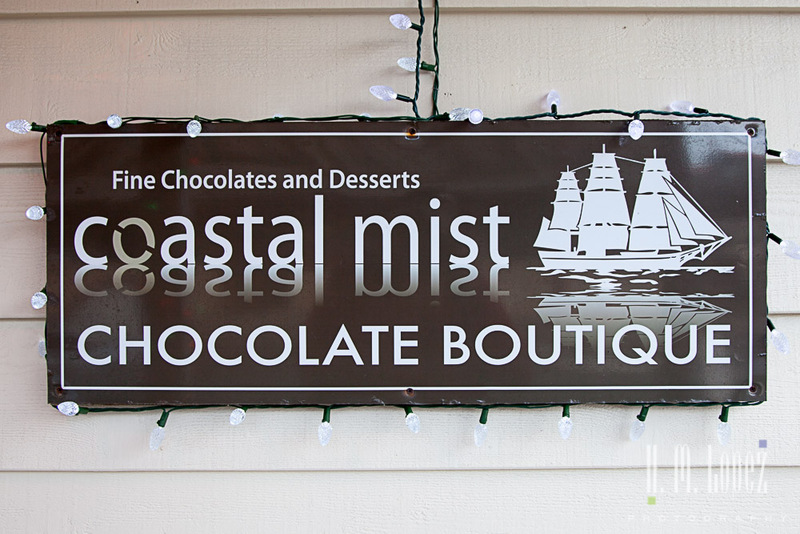 Of course, while in Bandon we just had to make one last stop at Coastal Mist for drinking chocolate. And, as always, it was sumptuous. 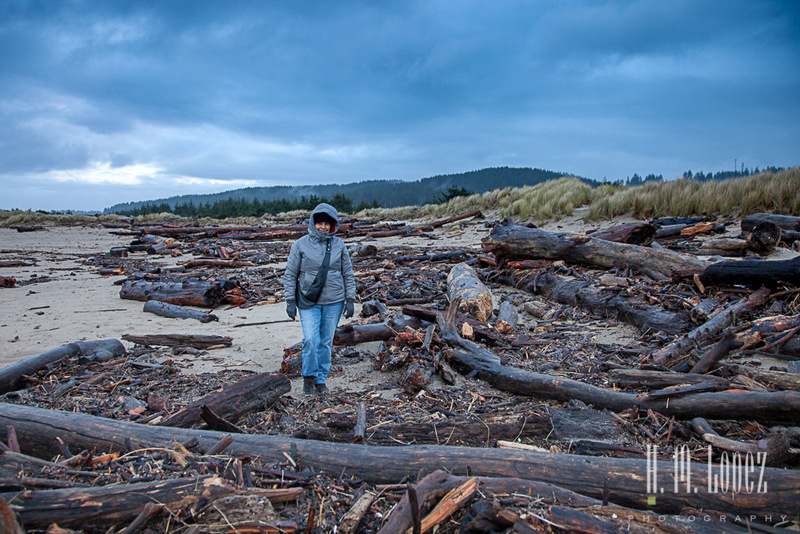 We are glad to have experienced the powerful storms the Oregon Coast is so famous for. Mother Nature put on quite a show. Our intent that afternoon was to continue our drive until we crossed the California border – but would we make it in the rain? 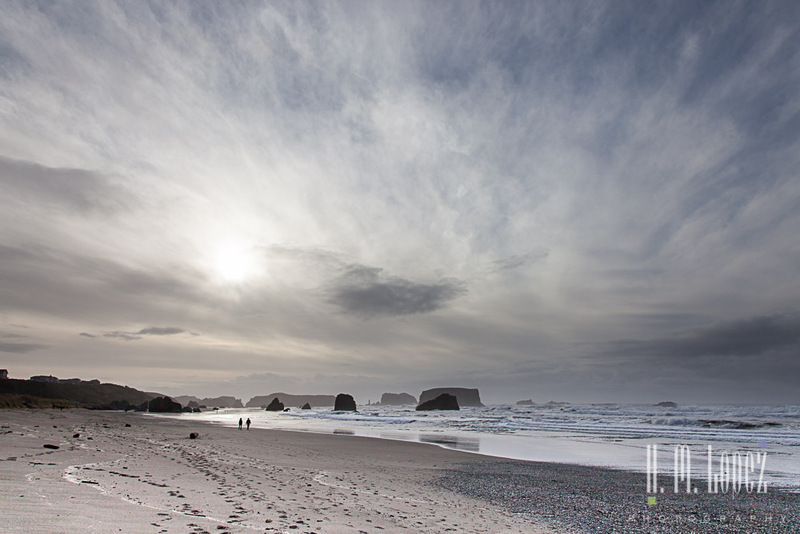 This entry was posted in Oregon, RV fulltimers, States Visited and tagged beaches, boats, farmers markets, fog, harbors, lighthouses, State Parks, sunsets by islandgirlwalkabout. Bookmark the permalink. We are going to Arizona after California. Great place to spend winter. Would love to run into you. 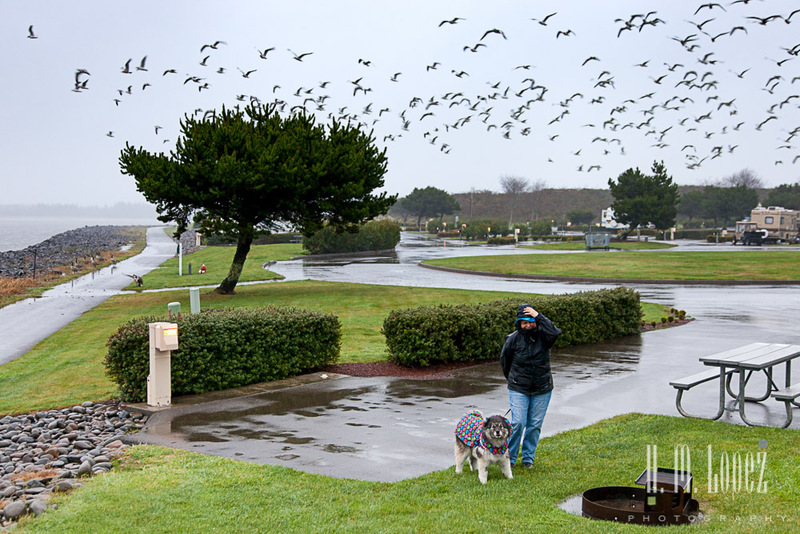 Watch that spring weather on the Oregon coast – it can be windy! Safe travels and Happy New Year! Great photography always great scenery. Thank you, Pedro. Happy New Year to you and Olivia. We have always noted that the rain ends at the California border on our way south. Made it to Yuma and will be headed to FMCA rally in Indio CA on the 3rd. Blessings for a happy new year. In our case it ended a little further south. We are going to Q on the 21st for a few nights, then to Yuma around the 25th for a few nights – hope to see you. Happy New Year to you and Tim! 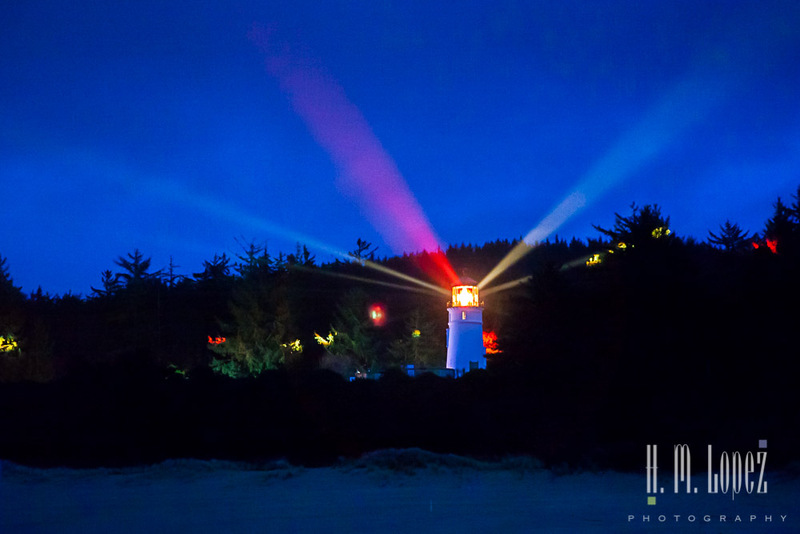 We spent time on the Oregon coast last winter and really enjoyed it — Shore Acres State Park (near Bandon) puts on a spectacular light show for the holidays and we had fun photographing the festivities. 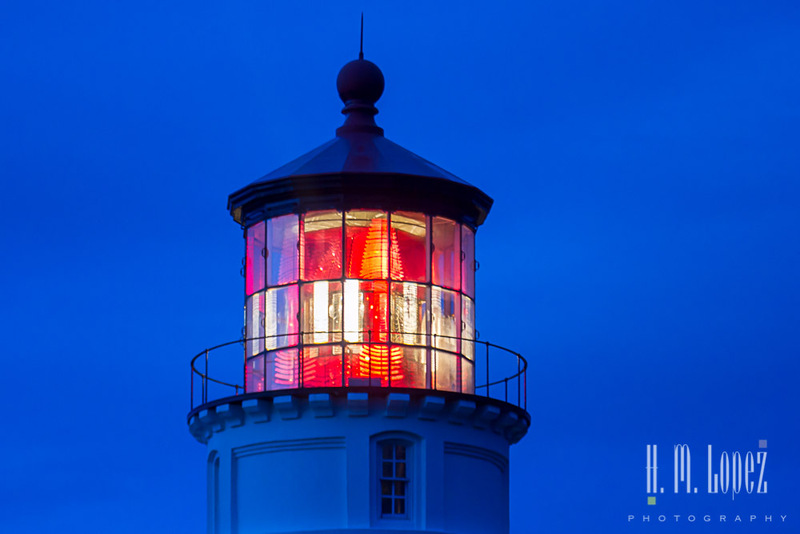 Your shots of the lighthouse are fabulous! Happy holidays! 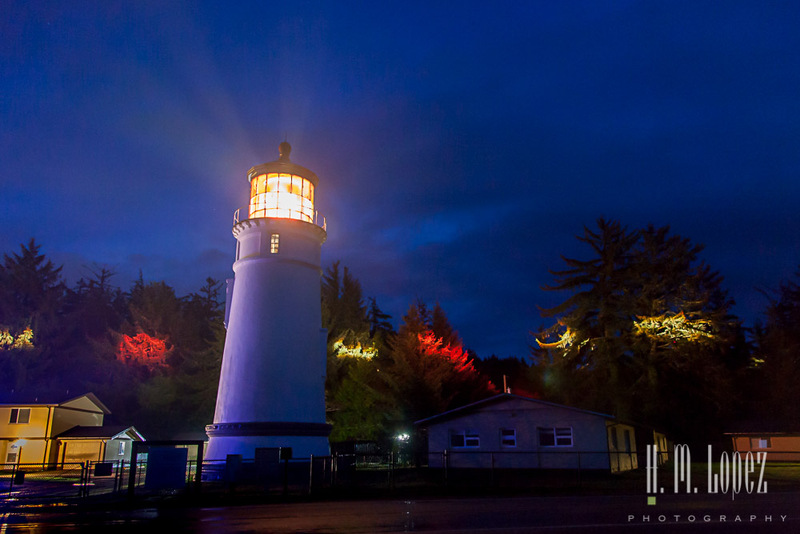 We will look up the light show on your blog – we love the area around Bandon and on the rest of the coast for that matter. Hector says thanks and it was a bit of a puzzle to figure out how to get them. 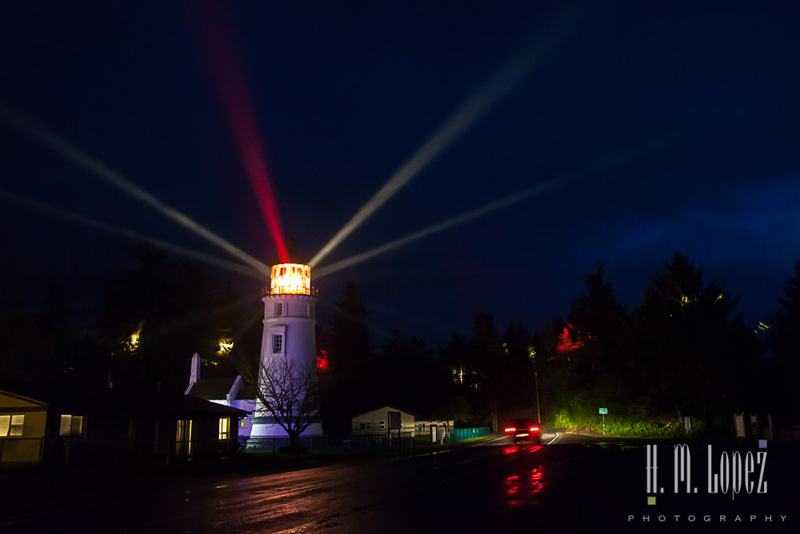 Nice job with the lighthouse photos! Love the reflecting light!! Wow! Super shot! The full hookups make a difference in crazy weather for sure! We got Angel’s raincoat back in Maine on our first year – never thought it would get so much use 🙂 Hector says thank you – the lighthouse photos were a bit of a puzzle. Where are you guys for the next couple of months? Would love to meet up. 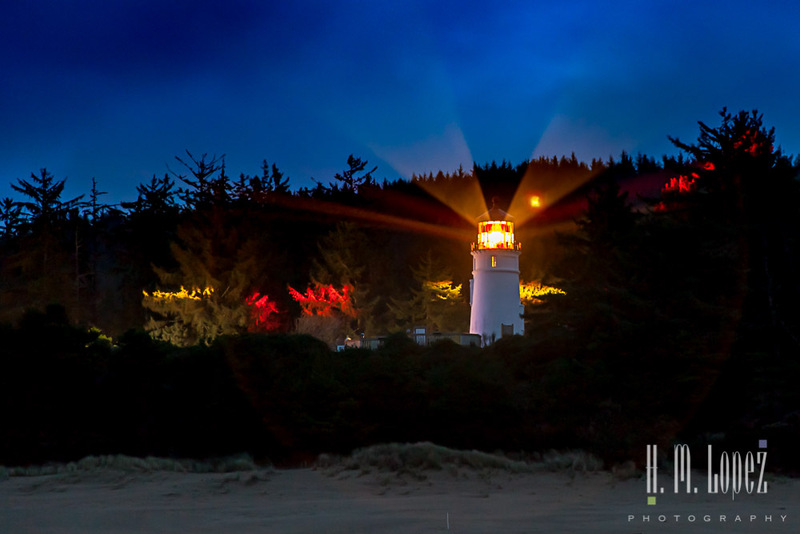 Im so glad that you are out there in Bandon this winter and this holiday for we got some great photography of the coast and the lighthouse and the reflection of the lighted houseboat. 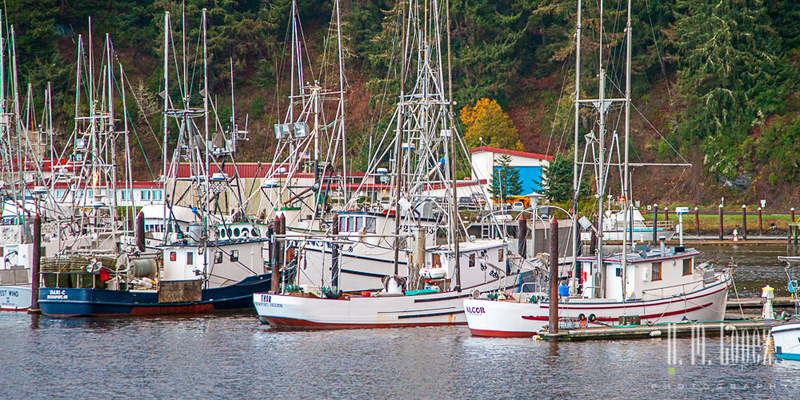 The colorful boats in the marina reminded me of some maritime scenes. Hope you had a great Christmas while watching the storm. Keep warm and stay dry. Oregon is so beautiful. We had a wonderful Christmas – post coming soon, although our year recap is coming first. It is pretty nice in San Diego in the low to mid 60s in the daytime, so we are fortunate. Happy New Year to you and Steve and we look forward to seeing you! 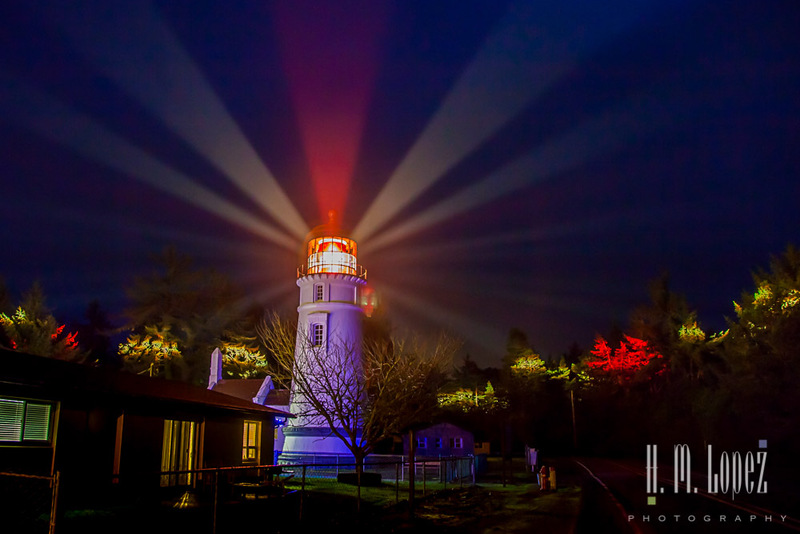 Those foggy lighthouse photographs, wow, wow, wow! Happy New Year! Happy New Year to you and Todd! Beautiful pictures! 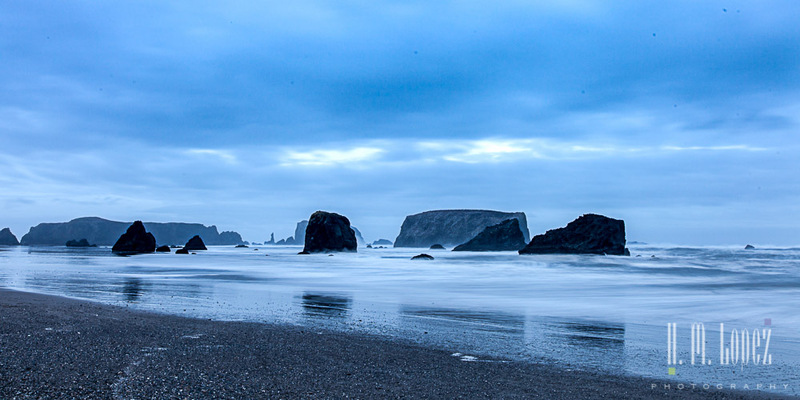 You have reignited my interest on doing the Oregon Coast. As a San Juan Island junkie and a dweller of inland Oregon (Bend) I never even think of the coast. 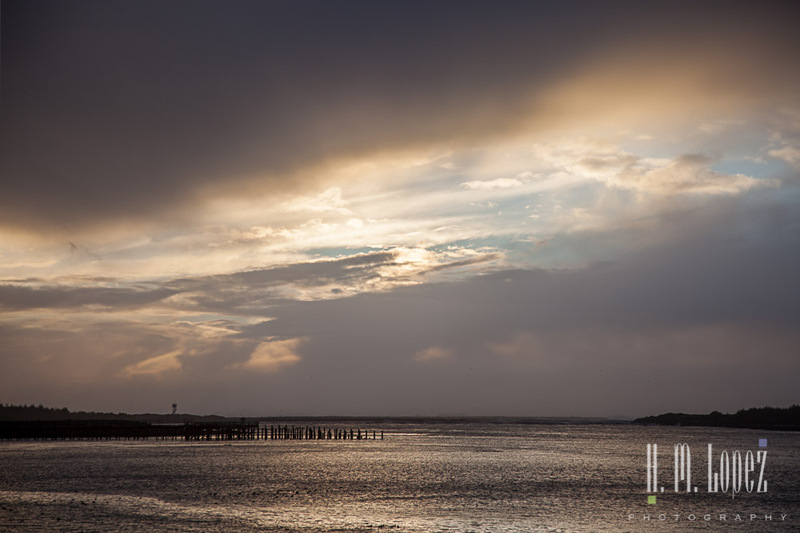 But to see all your beautiful pictures….we may need to point to in that direction next year when the weather improves. Until then I will stay warm down south. 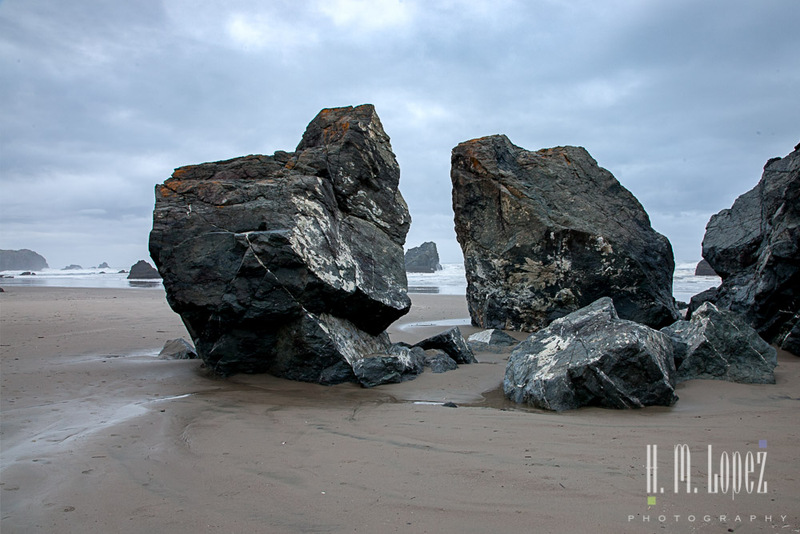 The Oregon Coast is so untamed, we just love it! 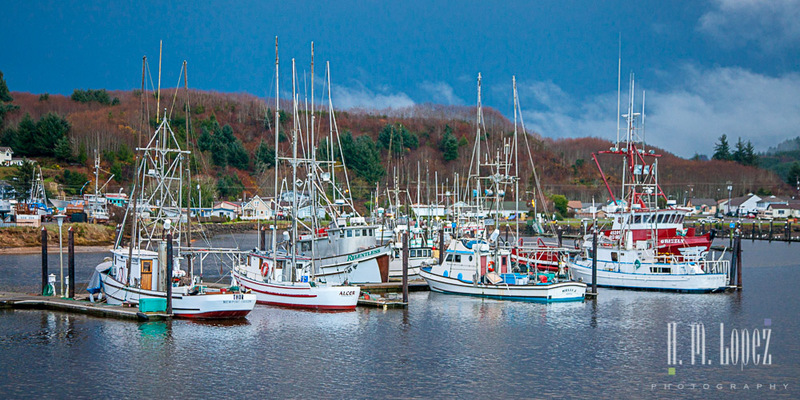 We love the San Juan Islands too, though. For now staying south is a good idea. Happy New Year to you and Dave – looks like you’re having a blast! From a landlocked Kansan I never had an overpowering desire to see the ocean, to much beauty here in the midwest. HOWEVER Hector you may have changed my mind. The Lighthouse pictures in the fog were great, no fabulous…. You have added time to my life because the Bucket List just got bigger. Thanks so much for the kind words Dale. The ocean is an endlessly changing and fascinating place that we never get tired of looking at. As someone famously once said … “Go west young man”. When your feet get wet … stop! A flight of drinking chocolate…almost sounds better than a flight of beer or wine! The flight of drinking chocolate was decadent! We had a wonderful Christmas and New Year’s Eve. 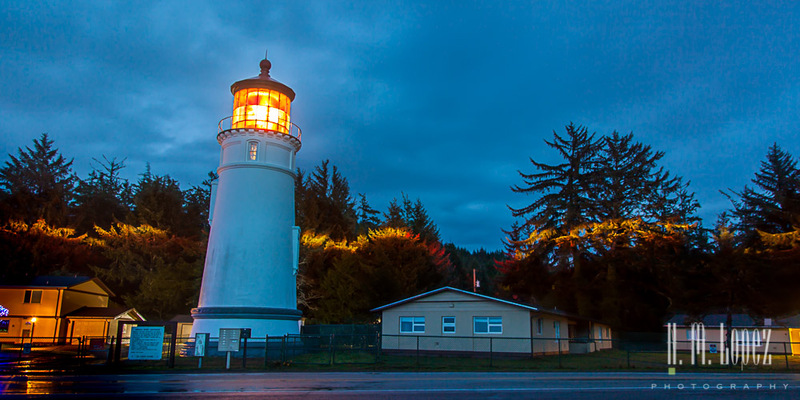 Love your pictures of the lighthouse. Bandon is such a cute little town and now we need to stop and have hot chocolate. Angel looks very healthy and happy, yeah! We are spending the New Years at the beach below Lompoc, CA and then planning a southern trip east to South Carolina after the first, so I will have to look at your past posts. Have a happy, healthy New Year with many more adventures! You must try that chocolate, you will not regret it. Angel is doing fabulously! Wow, crossing the continent is so ambitious! Happy New Year and safe travels. Happy New Year to all of you – wishing you good health, lots of love, peace, joy and new adventures! 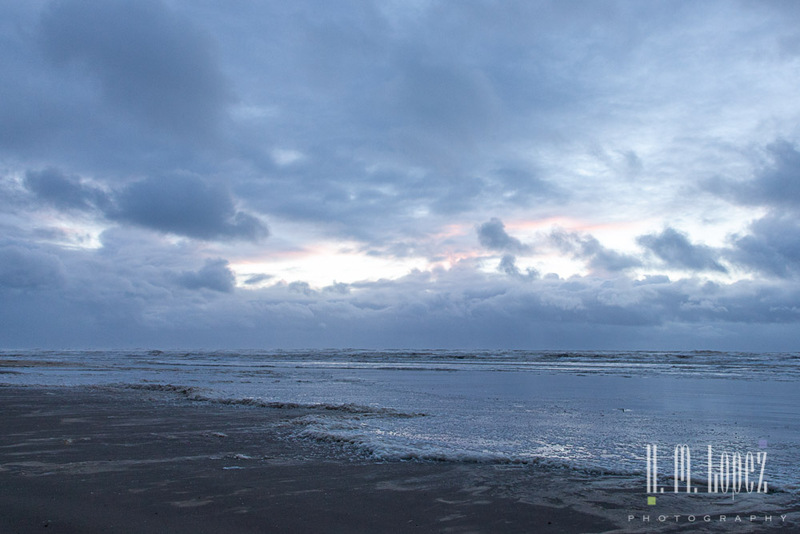 Absolutely stunning pictures of the lighthouse! We were fortunate to be there over the summer and the tour that day was given by the light keeper herself! It was a great experience. 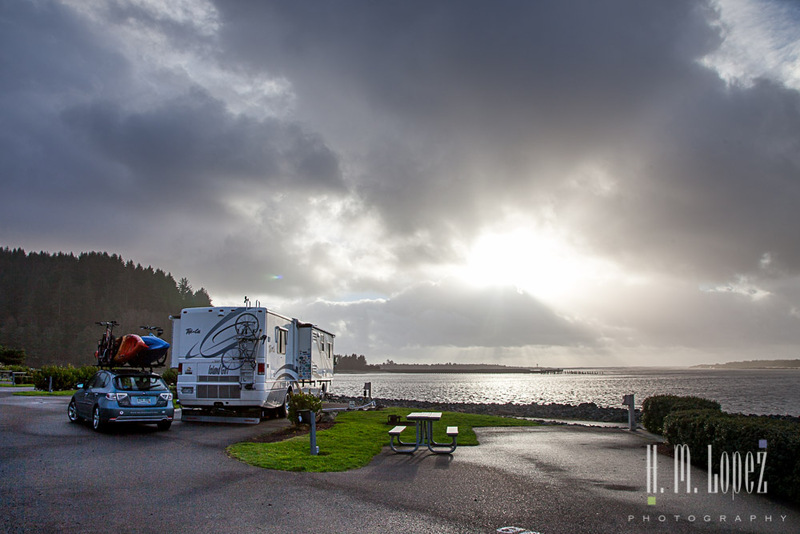 Winchester Bay and Salmon Harbor have often been a favorite spot for us and now you’ve enticed us to check it out in the off season. Having camphosted during the Winter at Champoeg State Park, we completely understood your description of that wind-driven horizontal rain..it is quite the experience, isn’t it?? As always, we so enjoy your posts. May you have a wonder-filled new year! Thank you! 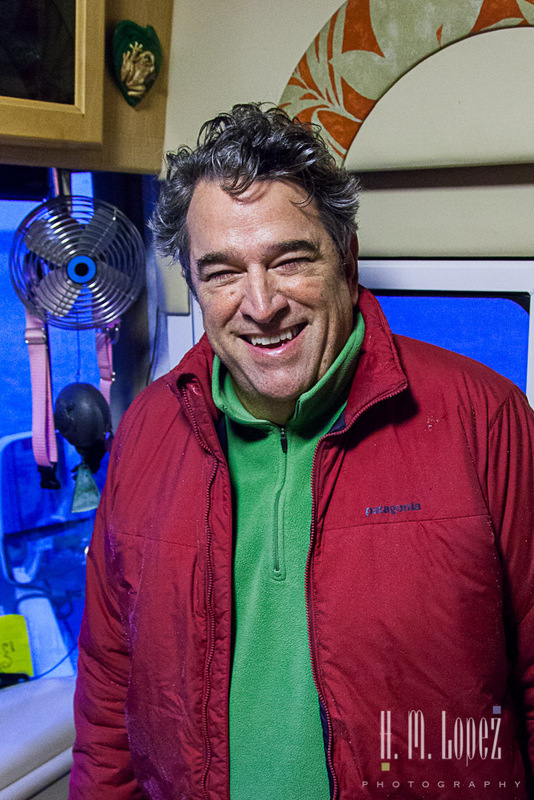 We were so sorry to miss a tour – how great to have the light keeper as tour guide! I felt a little concerned being there in the rainy season and imagine that it can be dangerous at times – but we were fortunate to literally weather the storm. But I must say it was fascinating. Wishing you safe travels and many new adventures in the New Year! Oops, I thought I had replied to your comment earlier. 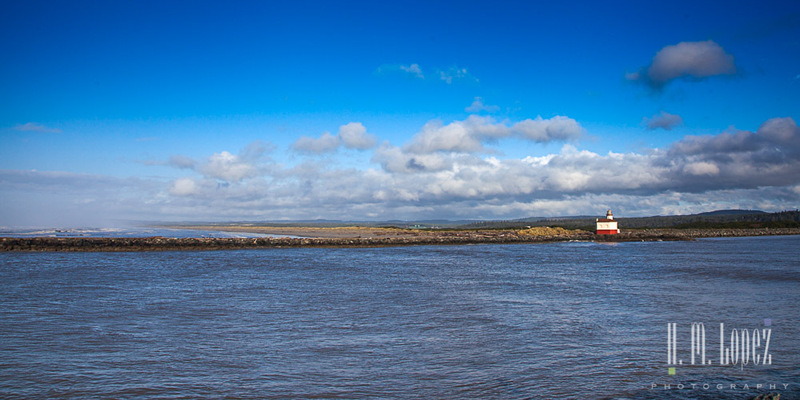 So glad you liked the photos, it was a beautiful lighthouse. And angel continues to do great. Big hugs to you!